My Week in Art: Woolorama win! Correction: The information I posted earlier was apparently incorrect. 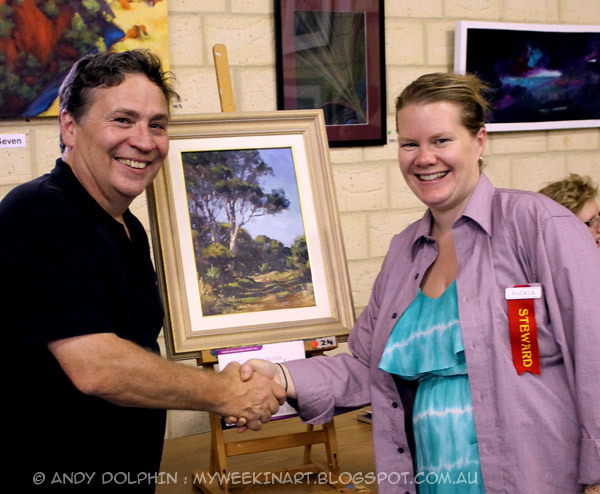 I've just been advised that my painting "Unndiup" has taken out the major prize at this year's Wagin Woolorama art exhibition. This is a plein air painting of a gravel road near Torbay Inlet on the south coast. 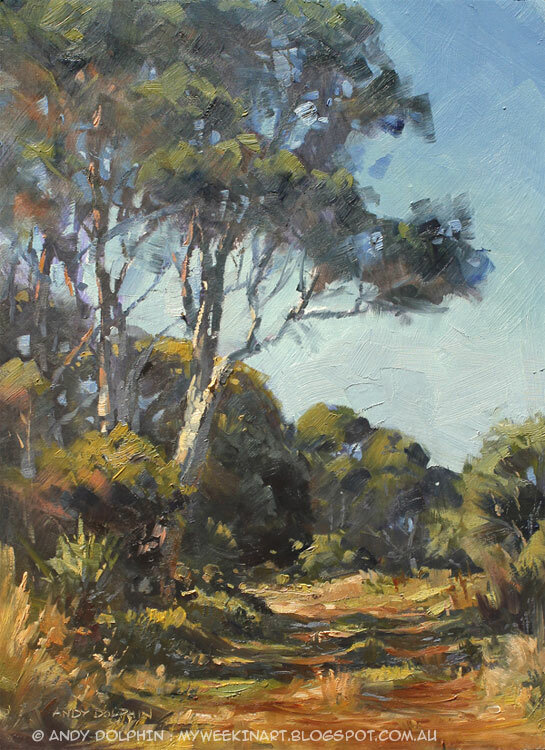 You can read a little bit about it at Unndiup: plein air landscape in oil. I'll be at Woolorama tomorrow to check out the exhibition which has traditionally attracted some beautiful work from artists around the state. Here I am with Natala King, coordinator of the Woolorama art exhibition.